Tropical Raspberry Coconut Smoothie. 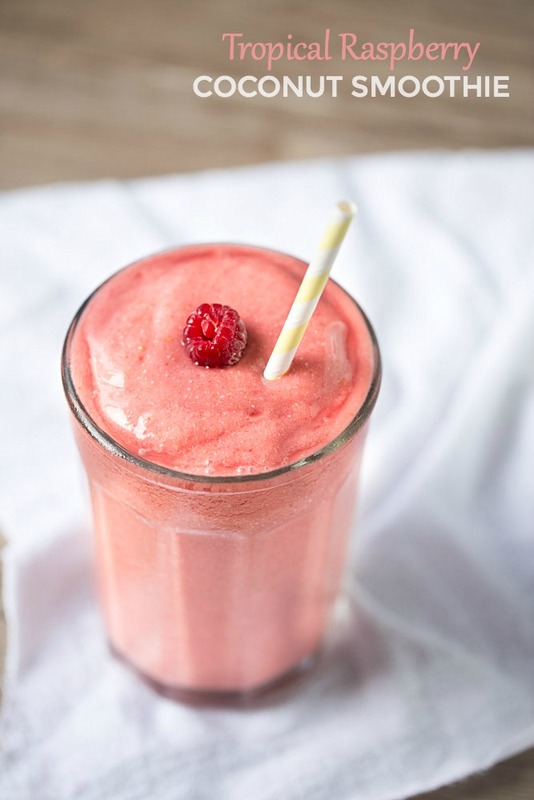 A dairy free smoothie made with raspberries, mango, pineapple and coconut milk. Vegan friendly. You guys. I’ve been swimming in smoothies lately. 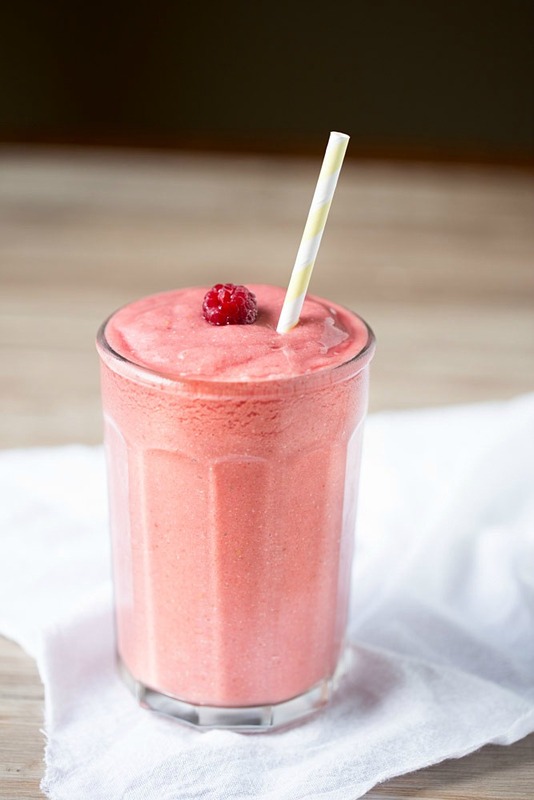 A couple week ago I made this Tropical Raspberry Coconut Smoothie that I’m sharing with you today. Then I bought some plant based protein powder and chia seeds and I’ve been making protein smoothies ever since. Once I get those perfected, I’ll be sharing the recipes with you! Today’s smoothie is all about the tropical flavors. Imagine you’re sitting on a warm sandy beach, sipping on this smoothie while watching the blue-green waves crash upon the shore. That’s nice, isn’t it? This smoothie is full of raspberries, pineapple, mango, banana, coconut and unsweetened vanilla coconut milk. I use the kind in the carton to cut back on fat and calories. I added some flax seeds to give the smoothie a boost of fiber and protein. This smoothie is easy and quick to make. I make smoothies before I go to work in the morning and that’s saying a lot. I’m a wake-up-at-the-last-minute kind of person. Often, I don’t have time to make anything hot or fancy for breakfast. Move over sausage and eggs, smoothies have become my best Monday – Friday breakfast pal. Using frozen fruit is key when making a smoothie. Frozen fruit is cheaper and can be used year round. It keeps your smoothie icy cold. It taste’s just as good as fresh fruit. You can keep loads of it in your freezer without worrying about it going bad. When it comes to bananas, I buy fresh bananas and then freeze them. At .69 per pound, you can’t beat the price of freezing your own. Place all of the ingredients in your blender, starting with the OJ and the coconut milk. You want to have the liquids in the bottom of the blender for best blending. Pulsate a couple of times and then blend on medium high speed (speed 7 on the Ninja Ultima) for 1-2 minutes. This smoothie is so pretty! I love the flavor combination you have going on here. NOW this is the kinda smoothie I want right now! So gorgeous and these flavors can take me to the tropics! It looks and sounds like there is so much deliciousness going on in this smoothie! I adore coconut anything, so knowing this is packed with that tropical, sweet and nutty flavor has me over the edge. Love this! I have been addicted to smoothies lately too. I seriously need to try this one. It looks so creamy! Hope you enjoy it if you give it a try, Jocelyn! What a fun smoothie combo!!! Perfect to get me thinking warm weather and tropics…and swim suits. Yikes…I better get back on the smoothie train quickly. Summer is coming so quickly!! Thanks Jocelyn! Summer IS coming quickly! Can’t believe it’s already almost April! This sounds delicious. I would add protein powder to it to make it a full meal that works for me nutritionally. I’m looking forward to seeing what other smoothies you post – they are my favorite breakfast and sometimes a great snack. I think the protein powder is a good idea, Susan! I have chocolate and vanilla protein powder now and I think the vanilla would go great in this. Going to have to make it again and include the vanilla protein powder! 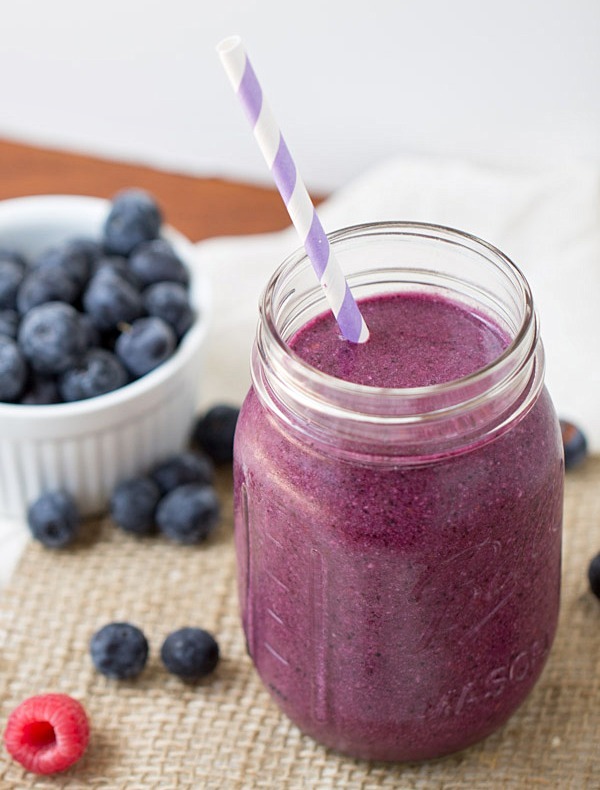 What a gorgeous looking smoothie! I love the coconut with all the tropical fruit in here! Sounds like the perfect way to pretend we are on a warm sandy beach! I bet it will be! Thanks so much, Amanda! I just got a new blender and this looks like the perfect smoothie for it’s maiden voyage! Definitely a good smoothie to break in the new blender! Stumbled across your blog and WOW does everything look so good! I’m a smoothie enthusiast, so I will definitely be giving this recipe a try! 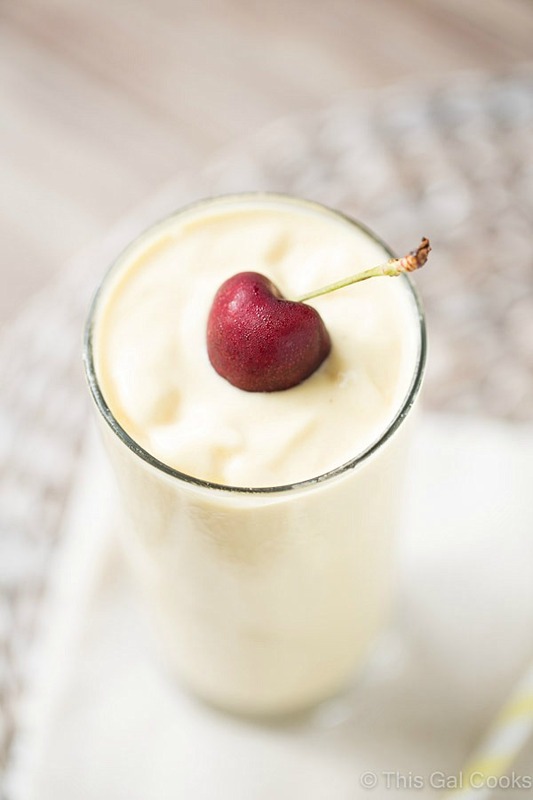 Love love this refreshing smoothie!! Loving all your smoothie recipes!